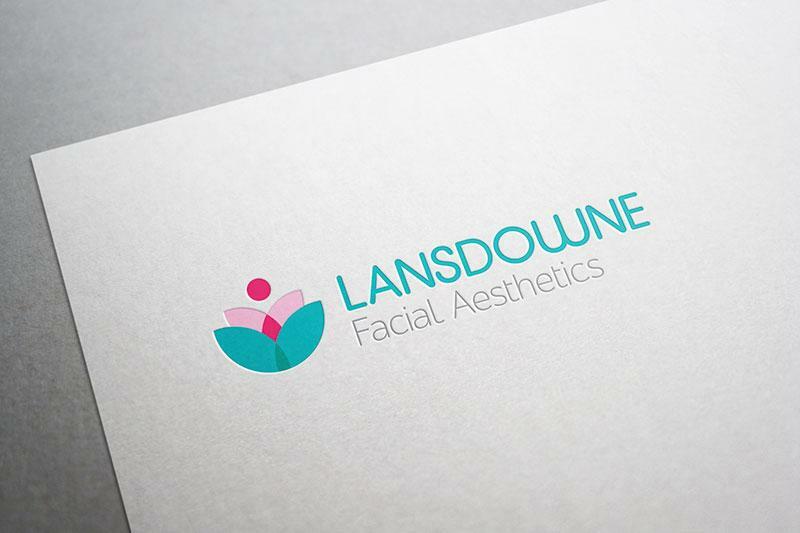 Lansdowne Facial Aesthetics, based in Glasgow are a highly experienced team practicing some of the most innovative, least invasive and most affordable non-surgical, anti-aging treatments available anywhere. Their skilled clinician offers non-surgical treatments in a subtle and natural way, enhancing natural beauty and confidence for their patients…making you smile brighter and feel younger. Dr Gareth McMorrow had initially experienced the creative work we had completed for Facial Aesthetics NI whilst home in Northern Ireland to visit family. Upon his return to Glasgow and work he immediately contacted the JUST Dental team to propose a meeting to discuss the scope of his project and requirements. Gareth had a refreshing attitude towards branding and design and offered us full creative powers. Their practice is modern, inviting and every conceivable aspect of the surgery is built with patient’s comfort in mind. Our proposal to deliver against Gareth’s brief focused around continuing the patient experience of the practice in an online platform. 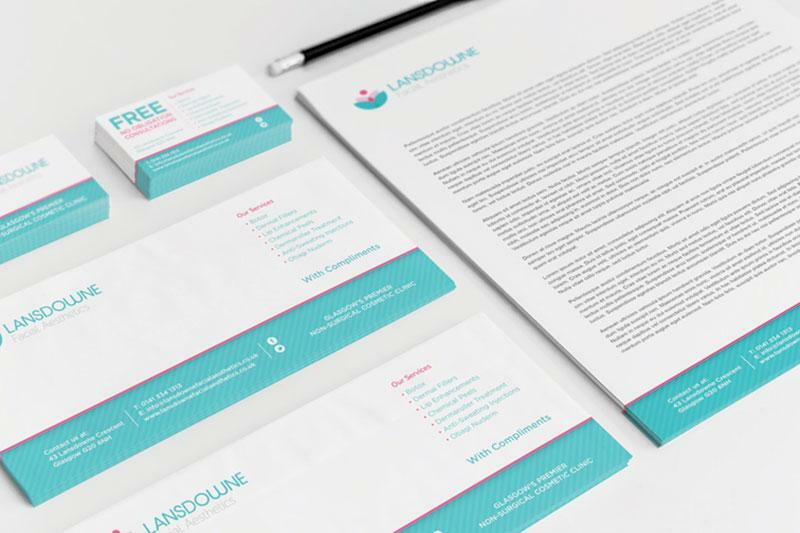 The use of colours, fonts and photography to compliment the patient journey they already would be aware of having been in the clinic. 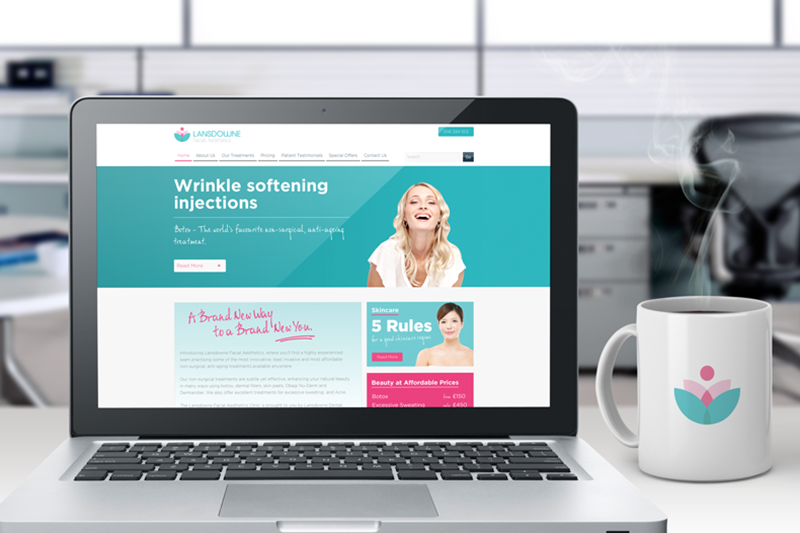 The modern design and user interface of the website, also needed to appeal to any potential new patients considering availing of the treatments. We are currently building a dynamic, interactive and responsive website tailored to Gareth's target audience. 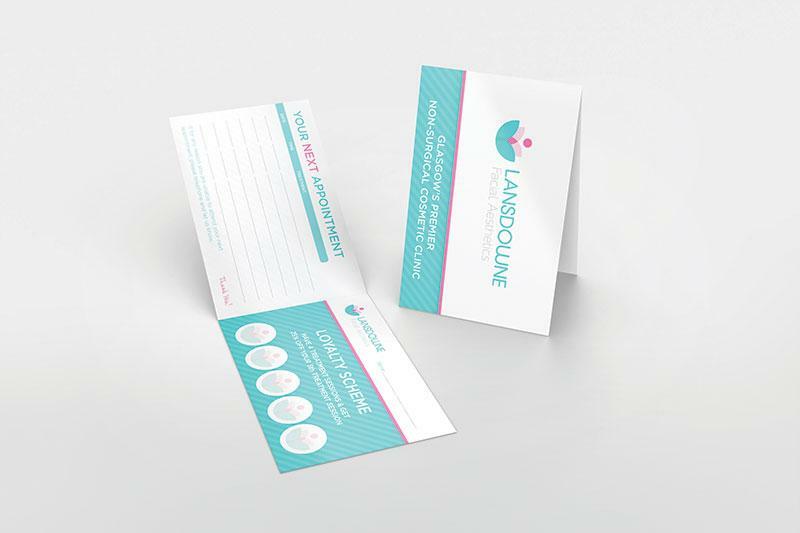 Practice literature and proportional materials have been created with complimentary colours to the existing practice and information that demonstrates Lansdowne's vibrant and exciting personality. Their new rebrand now fits perfectly with the staff and practice culture and is consistent across all marketing platforms. We hope to build upon this initial project work with our ongoing marketing services and retained services to ensure full exposure of the practice around Glasgow and beyond. This combined with an effective, strategic SEO and digital marketing campaign will ensure a healthy ROI for Gareth and his team in coming months.